Aug 18, 2015 in "Disney's Hollywood Studios"
Ever since the news broke at the weekend that Disney will be moving ahead with both Toy Story Land and Star Wars Land at Disney's Hollywood, everyone has been wondering just how these two lands can fit within the park. Disney has not yet released any official information about where the lands will go, but our sources, and those on the WDWMAGIC Forums, have been piecing things together, giving a possible scenario that may form the basis of the two lands. Remember, this is not based on any official information, and plans constantly change, so take all of this with a gran of salt, and understand this is just one of several possible plans that may or may not be in the final product. So let us start with the big picture. This overhead view of the park by Ignohippo shows a possible Star Wars Land in blue, and Toy Story Land in orange. Possible location of Star Wars Land and Toy Story Land at Disney's Hollywood Studios. By Ignohippo. We know that Toy Story Land will be built near to Toy Story Mania, but what may come as a surprise is that in the scenario we are looking at, the new Toy Story Land will actually go behind the existing Toy Story Mania attraction in an area that is currently part of the old Tram Tour, Creative Costuming, and backstage buildings. 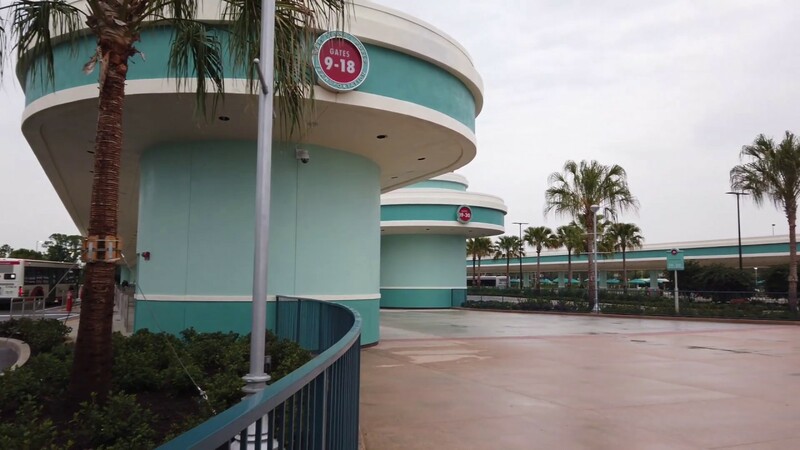 The entrance to Toy Story Mania would be switched from the current front of the building, to the rear of the building, which would make the entrance from inside Toy Story Land, and not on Pixar Place - which would likely be closed. This rendering from Martin Smith shows a layout of how the new land would be positioned in relation to the existing Toy Story Mania and Pixar Place. The scenario presented here would see Pixar Place closed, and One Man's Dream and Voyage of the Little Mermaid likely to be removed to create the new entrance and walkway to Toy Story Land from somewhere near to the current Animation Courtyard arch. An interesting point to note with this Toy Story Land layout is that is does not use any land on Streets of America, or Lights, Motors, Action Stunt Show. These are two areas that had been strongly tipped to make way for a new expansion, but it seems that at least in the short term, this may not happen. It does however lead to an intriguing prospect of a phase 2 for the Studio's redevelopment beyond what was announced this past weekend, and there are no shortages of candidates - with Cars Land and Monsters Inc. frequently linked to these areas. 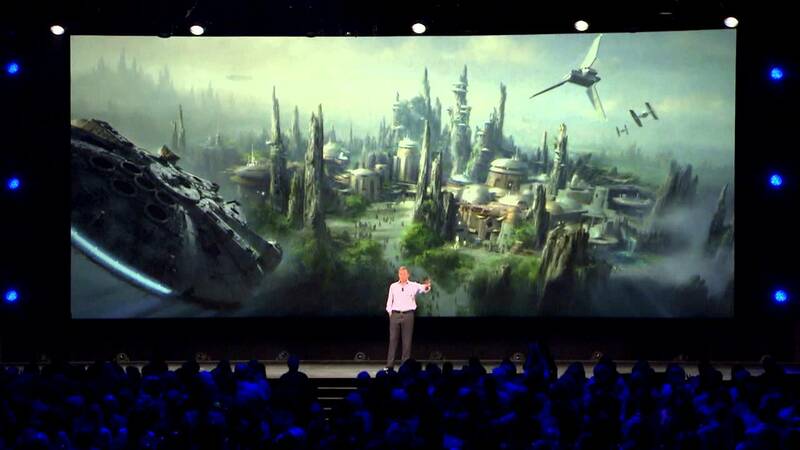 Star Wars Land has long been rumored, and this past weekend's announcement confirmed what everyone knew was coming. But how can it fit into the park? The concept art released gives us a big clue and leads us to this possible scenario, illustrated here by Ignohippo from the WDWMAGIC Forums. The bulk of the land could be located in what is currently the Echo Lake land. Standing in the hub area, facing the Great Movie Ride, Star Wars Land would be located to the left, occupying everything from the current Frozen Sing Along show, around to Hollywood and Vine. Possible Star Wars Land layout at Disney's Hollywood Studios. By Ignohippo. The view you are looking at above is Echo Lake, viewed from the hub area. In this scenario, much of the existing buildings would be reused, but totally re-skinned with rock work and new facades. Indiana Jones would be demolished, as would the lake itself. The Frozen Sing Along theater would become home to an expanded Jedi Training Academy, and the 50's Prime Time and Hollywood and Vine would become Star Wars themed restaurants. Backlot Epxress would become the cantina restaurant, and Star Tours would remain, with considerable exterior changes. Here is another view a bit closer, that shows how the new attractions could overlay the current setup. Possible attraction layout in Star Wars Land at Disney's Hollywood Studios. By Ignohippo. This approach has a couple of significant advantages. First, the reuse of existing buildings and infrastructure will greatly reduce the construction time and cost of the new land. Secondly, the attractions in this area are largely reaching the end of their life and will require replacement regardless of whether Star Wars uses this area. 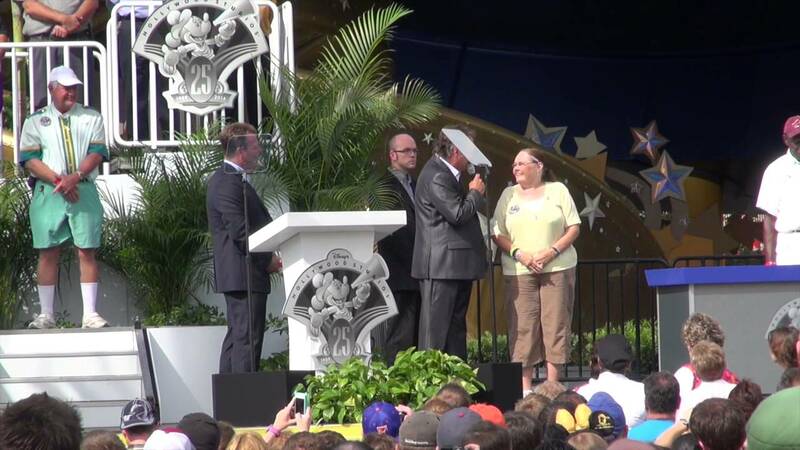 Finally, it allows for the incorporation of the existing Star Tours into the new land. Possible attraction layout at Star Wars Land in Disney's Hollywood Studios. By Ignohippo. This final view shows the view from looking towards the existing Star Tours from near the restrooms located opposite, with Star Tours in its current position, and Backlot Express as the cantina. The position of the two brand new attractions remains somewhat unclear. The removal of the Indy Stunt show would free up considerable space for one attraction location, with the second location more-than-likely needing to come from land that is currently back stage. The overhead view below shows a couple of possible locations for those new attraction pads. So there you have it - two new lands, mostly contained within the existing park boundaries, which seem to meet all of the required goals. Remember, this is all speculation, albeit educated and informed from sources familiar with the situation. Plans often change, and until officially announced by Disney, should be treated as fun speculation. Let us know what you think - join in the discussion on the WDWMAGIC forums.